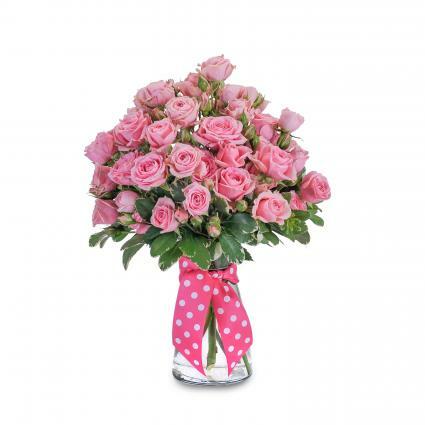 Spray Roses Variegated Pittosporum Vibe Vase Ss. 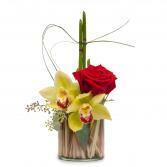 Red Rose, Equisetum, Orchids, Seeded, Eucalyptus, Bu Bear Grass, Syndicate, Cylinder. 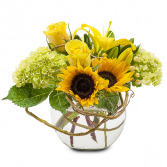 Sunflowers, Yellow Roses, Hypericum Berry, Hydrangea, Pittosporum, Asiatic Lily, Curly Willow, Bubble Bowl Syndicate C.
Roses Spider Chrysanthemums Kale Spray Rose Carnations Mini Green Hydrangeas Hypericum Berry Bupleurum Green Trick Dianthus Seeded Eucalyptus Gathering Vase Ss.